With Amber Hill winning the BBC Young Sports Personality of the Year in 2013 and sealing her Rio 2016 place by shooting gold at the Baku European Games in June, women shooters are increasingly making their mark. And unlike other sports, women don't have to be fitter or stronger than men to win. As Ed Ling says: "Women can compete at the same level as men in this." Shooting UK: So Victoria, what gave you the idea of setting up the Shotgun & Chelsea Bun Club in the first place? 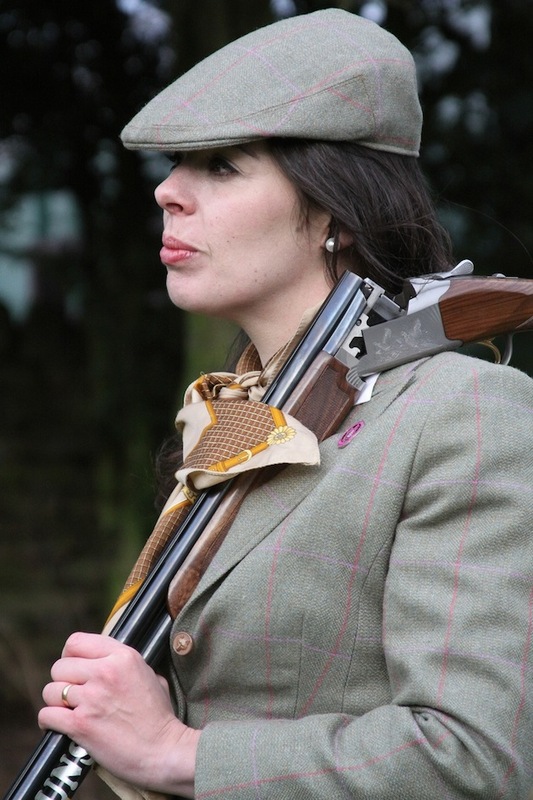 Victoria Knowles-Lacks: “I was finding it quite hard to find girl-friendly advice about gameshooting, so I set up a website in 2011 called Ladies-Shooting. I’d been shooting for a few years and I wanted to get my girlfriends from school involved in it, so I set up this little blog about my shooting trips, news, game recipes and that type of thing. I wanted it to be a resource where girls going on their first shoot could learn about tipping, etiquette, all sorts. I think if women have a bit of information it leads to confidence. “In September 2011 I managed to get some schoolfriends to come clayshooting with me. We went to the South Worcestershire Shooting Ground (which is where I am from) and we shot 50 clays. I baked a Victoria sponge beforehand and put it on a lead crystal cake stand I had (which is on our stand today) and afterwards we had cake and tea. It poured with rain, my mascara ran but it was really fun – but it wasn’t the club then, just me taking friends clayshooting. “Then I went on holiday to Australia, was lying on the beach and I thought ‘yes I’m going to make it easier for women to get into shooting.’ I decided I was going to make it my job. I wrote down my core values – affordable, inclusive and supportive. We would run events at shooting grounds using their coaches and guns because obviously I am not a shooting instructor! Shooting UK: And how did you get people to come along? Victoria Knowles-Lacks: “Well, it’s all mainly been through Twitter and social media. I had a friend that lived in Oxfordshire. She had quite a bit of a network of school mums and people who hunt, that sort of person and I contacted loads of local papers. I had no experience in marketing, PR or press – it was all just a wing and a prayer. I just thought ‘I’m really going to make this work and if I can get 10 people that’s amazing’. “I didn’t make any money out of it for the first year. I was working full-time as a compliance manager, previous to that I worked in country houses for Knight Frank. “I just thought I wanted to create something ..even if women come and shoot just once and then think ‘well it’s not for me’ … I wanted to open it up to more people really. Shooting UK: So then you suddenly had a business on your hands? Shooting UK: Was anybody doing anything similar at the time? Shooting UK: Although your name – the Chelsea part – suggests you might have a higher price point. Shooting UK: Looking at your leaflet it quite surprised me that the starting point for a Chelsea Bun Club day is just under £50 for non-members. What do you get for that? Shooting UK: How do you manage to do it so relatively inexpensively? Shooting UK: How many shooters would you expect to get coming along on a day? Victoria Knowles-Lacks: “The biggest day we ever had was about 70 women at the West London Shooting School, which was a bit like herding cats but great fun. Hard work with lots of excitable women who wanted to chat! Usually we average about 30. From far-flung grounds in say, Cumbria, we might just have 15-20 but in the south east we might have 40-45. Shooting UK: What’s in it for your members? Victoria Knowles-Lacks: “They get a reduced shooting fee, and we have a secret members-only Facebook group which includes some top lady shots so you can get advice and support and see who’s going where and message one another. We’ll introduce members to other members in their area as well. 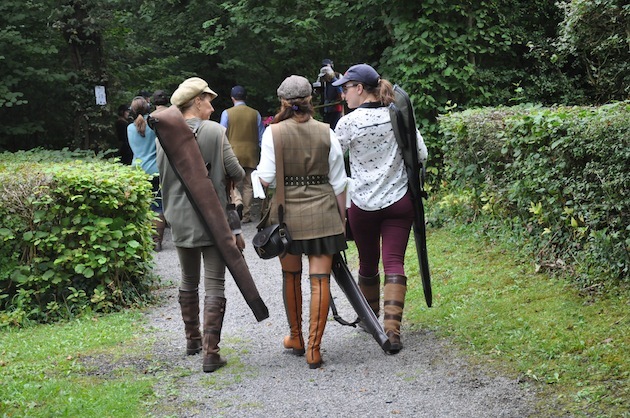 We also do simulated game days, an annual conference and we’re doing a members-only free social event with Dubarry. Oh, and members have a discount directory for shooting grounds, equipment and clothing. Shooting UK: So presumably you’ve given up your full-time job to focus on this? Shooting UK: Are you from a shooting background yourself? Shooting UK: When did you first pick up a gun? Shooting UK: How often do you go now? Victoria Knowles-Lacks: “I do a fair bit of game shooting and always make time for that. I have a grouse day on the 12th that I’m really looking forward to, as a gun in Inverness and another grouse day in Yorkshire. We do novice game days at Ripley Castle in North Yorkshire and a day at Belvoir Castle with the Duchess of Rutland and a small 150 bird day in Hertfordshire. Shooting UK: What guns do you shoot? Victoria Knowles-Lacks “Our own estate tweed. I studied fashion at the London College of Fashion so I designed the collection and chose the tweed. We launched it at the Farmers Club in Whitehall in December last year, the girls love it. The breeks are amazing to shoot in and they make your bum look great! We also have a skirt, two different style blazers and a trapper hat with fur inside and a tie, a flat cap and tote bag. Shooting UK: Does your husband shoot? Victoria Knowles-Lacks: “No. And I couldn’t have done this without him, he’s been a great support, listens to my woes. He is very understanding – but he runs triathlons we don’t get involved with each others’ things. I don’t push the shooting to him because I don’t want him to make me run a marathon. Shooting UK: Coaches have been heard to say that women easier to teach than men. What do you think women bring to shooting? Shooting UK: And what’s the best day’s shooting you ever had? Shooting UK: And what’s your plan for the future? Shooting UK: Men-only clubs have run into trouble for excluding women. If a man came along and said he wanted to shoot with you what would happen? The Shotgun and Chelsea Bun Club is welcoming new members. You can find out more here.